Pour ingredients into cocktail shaker filled with ice. Shake vigorously a chilled martini glass. 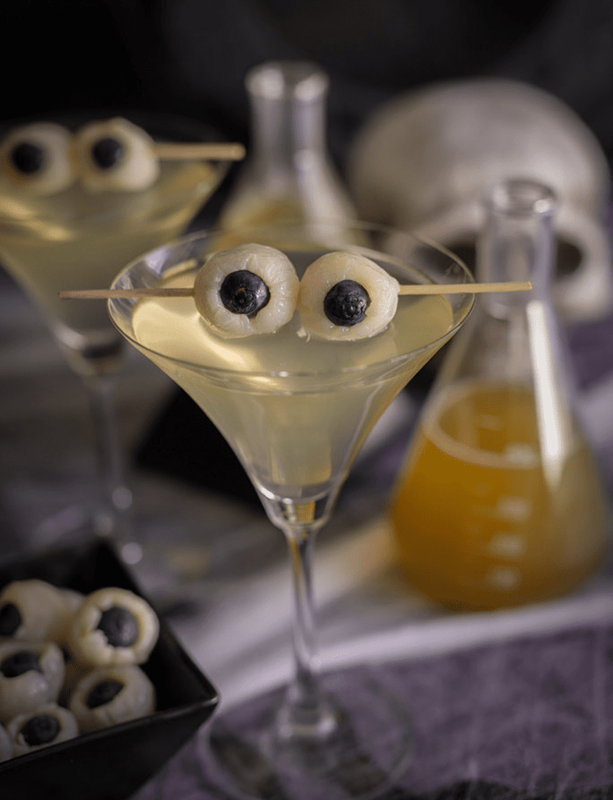 Garnish with an olive stuffed radish that has been scored to create the “veins” of an eyeball.